"Within a few years of Peter Willett's brainwave, the invention has gone global"
Whenever I am asked to recommend a book for someone beginning to take an interest in bloodstock breeding, I point the questioner in the direction of An Introduction to the Thoroughbred, and suggest The Classic Racehorse as the best follow-up volume. These are not new works, the first dating from 1966 and the second from 1981, but I’m inclined to feel that they have never been bettered, and I readily acknowledge the lessons I learnt, particularly from the earlier volume, when I sought to fill gaps in my own knowledge many years ago. The author of both books was Peter Willett, whose columns in Horse & Hound and the Sporting Chronicle were also essential reading for me and generations of other enthusiasts for our highly esoteric interest. We students were grateful for the lucid prose which helped to de-mystify a sometimes baffling subject. But there was much more to Willett than his books and the many others to which he contributed. If he experienced a measure of satisfaction from the published works that delighted his readers, that was all well and fine, but towards the end of a life that stretched into the nineties he told me in a letter that his proudest achievement was the invention of the European Pattern race system, and he felt that if he were to be remembered for anything, he hoped it would be for that. There was no coherent programme for Europe’s higher-class horses prior to 1971, when the Pattern was initiated with Britain, Ireland, France and Italy the four participating nations. 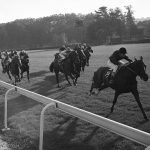 A total of 244 races were scheduled, 50 in Group 1, 60 in Group 2 and 134 in Group 3, but the abandonment of the Prix Edmond Blanc reduced the Group 3 score and the overall total by one. There were 161 individual winners, each claiming a slice of the new prestige cake. Germany joined the party in 1972, and such was the impact of the scheme that North America adopted a system of their own for 1973, emulating Europe’s model with classifications in three grades. The stark logic of a plan which replaced chaos with order was rapidly picked up by countries all over the world. Within a few years of Willett’s brainwave, the invention had gone global. In 1974, in my capacity as editor of the Bloodstock Breeders’ Annual Review, I compiled lists of winners of all the European Pattern races and of all the North American Graded races, recognising the importance of the innovations and giving them the profile they were due. And, initially just for my own interest, I extracted data from the results as they came in. The European Pattern was already a decided success. 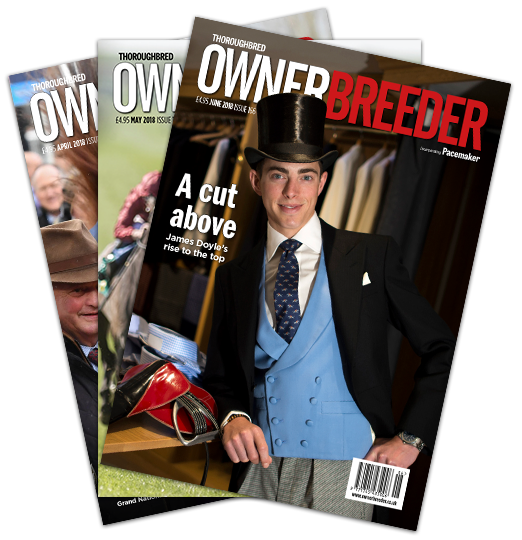 It focused the minds of breeders, owners and trainers on the races that really mattered and served as targets for one and all. As everyone wanted a share of the prestige it provided there should be interesting information about sires and broodmare sires to be gleaned; their records in Pattern company ought to be enlightening. In my time at The Sporting Life I found myself writing regularly about Northern Dancer, which must have seemed boring to many readers, as it appeared that the paper’s photo library contained just the one picture of the Canadian-bred who revolutionised the breed, compiling an astounding record with progeny on both sides of the Atlantic, while never having a crop larger than 36. Nijinsky had come and gone, having done all his winning in the immediate pre-Pattern era, but once the Coolmore party had decided to give up on the likes of Damascus, Forli and Round Table, and to concentrate instead on the Northern Dancer stock at US yearling sales, another chapter began. 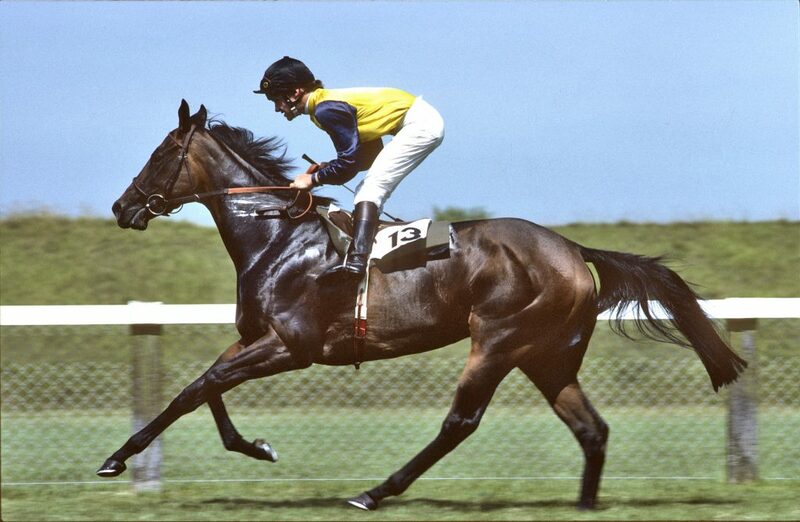 There were ten Pattern or Graded winners from the crop of 31 born in 1980, and eight out of 31, including El Gran Senor, Sadler’s Wells and Secreto, in the following year. Northern Dancer was a phenomenon and he is virtually ubiquitous in pedigrees today, in many cases several times over. But it is a different story where the horse who featured as another giant of the Pattern at that period is concerned. 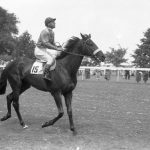 Habitat, who was retired after victory in the Prix du Moulin de Longchamp of 1969, was soon making headlines, both at the sales and on the racecourse. 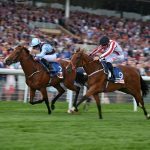 There were a host of brilliant Habitats for me to write about, including Rose Bowl, Flying Water, Double Form, Sigy, Marwell, Habibti and Distant Relative, so why wouldn’t we expect their sire to prove a lasting influence on the breed? It didn’t happen. He proved a poor sire of sires, but really excelled as a broodmare sire before fading again. His daughters produced two Derby heroes in Reference Point and Shaamit, who both failed at stud, though Irish Guineas victor Barathea did well enough for a while. Compiling my data, I was always looking for milestones, and the battle to be first to 100 Pattern wins by his progeny was won by Habitat, who had led since overtaking Vaguely Noble in 1981, and would wind up with a score of 108. Northern Dancer reached the century when Dahlia’s daughter Wajd won the 1991 Grand Prix d’Evry, and that proved to be his last. So who would be the first to surpass Habitat’s tally? It was soon easy to answer that. Sadler’s Wells had his first runners in 1988, and his impact on the Pattern was such that by the end of 1996 his progeny had 99 victories to their names, a dozen of them in the latest season. Already a multiple champion sire, and aided by larger books, he seemed a shoo-in to take command in 1997, duly delivering with an outrageous tally of 21 wins. By the end of 2000 Sadler’s Wells was way out in front, his latest seasonal score of 20 wins placing him 58 clear of Nureyev, who had edged past Habitat to claim second place. It must have been around that time that I was predicting Sadler’s Wells was on his way to a record that would never be surpassed. I firmly believed that to be the case, and never expected a need to revise that opinion. When did the doubts begin? Well, at the end of 2013 Sadler’s Wells had 327 wins and Danehill ranked second on 198. Galileo was running third on 162, a tad less than a half of his sire’s tally, but he was racking up remarkable seasonal scores. They were to become more remarkable – tallies of 32 in 2014, 29 in 2015, 39 in 2016, a scarcely credible 46 in 2017. Sadler’s Wells was not just vulnerable; he was about to make way for his superstar son. Galileo’s strike-rate in 2018 is currently some way behind the outlandish pace he set last term, but he is nevertheless at the head of the sires’ table, far ahead of his challengers. As I write, in mid-July, with the King George and Goodwood on the horizon, his lifetime score in the Pattern is up to 325. By the time you read this, the champion whose record was supposed to endure for all time may already be down to second while holding on to the consolation prize of a long lead in the table for broodmare sires, with no plausible contender in sight. As things stand in the broodmare sires’ competition, Galileo is way off the pace, nearly 190 wins short of the current Sadler’s Wells score. There is absolutely no conceivable threat to the old boy’s dominance in that regard. Well, not in the foreseeable future. Not a chance of it. I think.